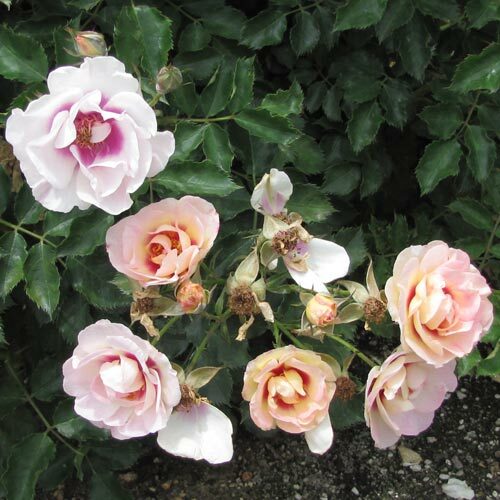 Looking for an easy-care rose with a distinctive look? Bull's Eye Shrub Rose hits the mark. For years, rose hybridizers have worked to develop a dark-eyed rose. 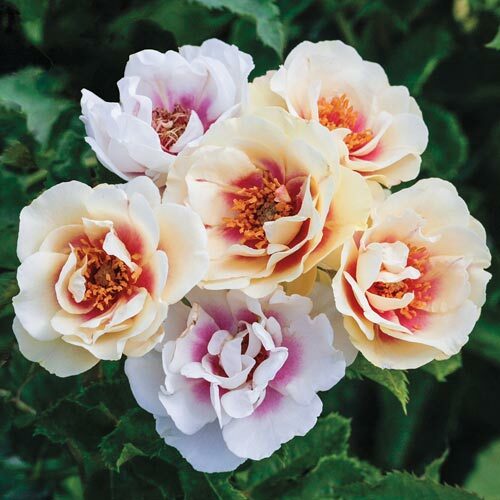 This distinctive rose produces large clusters of creamy white, semi-double flowers with cranberry-hued eye zones and a moderately spicy-sweet fragrance. 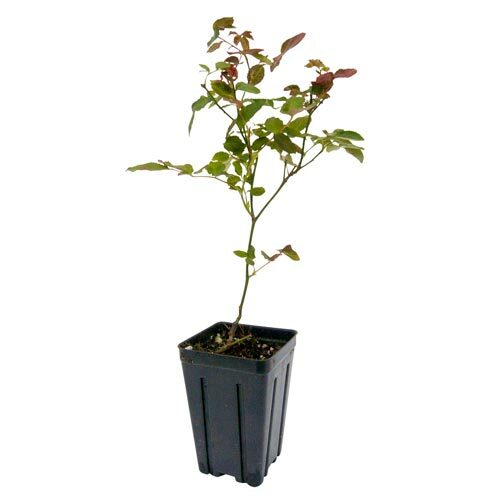 Best of all, this rose has foliage that is full and exhibits great black spot resistance. Beginning gardeners and pros alike appreciate shrub roses, like Bull's Eye, for their cold-hardy and no-fuss nature. They provide easy landscape color and can be planted as a single plant or grouped together for a more informal look. Flower FormSemi-double, borne in large clusters, Medium-small flower size, about 2.5 to 3"